ANOTHER year is gone since our inception in November 2011! From me, the mentees, the parents, Kisoko community and the entire community of Tororo and Buteleja districts, we say thank you so much for your support rendered to us! 2014 has been a very successful year with both more challenges and more opportunities. It was also a year when we engaged in various projects other than the mentorship program. We are pleased to share with you the year’s experiences, achievements and challenges. My family, your mentees’ families, the community, RGCM and PCE Foundation team wish you a prosperous 2015! One of our mentees, Namusis Anna, graduated with a certificate in Business Administration and is currently gathering resources to start a cosmetic shop. Four of our mentees are currently studying at college and university, two of whom will complete their primary school teaching course this year. Twenty six (26) mentees successfully completed their National examinations. 12 candidates completed their Uganda Certificate of Education (UCE) National examination. 14 mentees completed their Uganda Advanced Certificate of Education (UACE) and will be joining colleges and universities starting August 2015. We are glad to inform you that all our mentees progressed to the next class. This is a great achievement because even the few struggling students managed to pass their end of year promotional examinations. Many of our girls were ranked among the best 10 performing students in their respective classes and schools, and several of them ranked in top 5 positions. Sixteen of our mentees sat for the college/university entry examinations. Their examinations results will be released between April and May of 2015, after which they will apply to colleges and universities between July and August. Those accepted will start their college education in late September. Several of these mentees want to become doctors, pharmacists, business women, teachers, journalists and authors. We appreciate your sacrifice in helping them realize their dreams. his year two of our mentors provided 71 AFRIpad sanitary towels for all the girls, which provide yearlong sanitary protection. They pledged to do so for 5 years, and have been doing so since 2012. A number of our mentors donated extra funds to support the 42 girls who are currently without mentors. Non-mentors who donated to support these girls include Do-Change (a Germany project founded by Florian Münch, Sharon Sandy, Susan O’Rourke, Susan Sleswickof the BOR Orphanage in Australia) and Sumru Erkut of Wellesley Centers for Women. 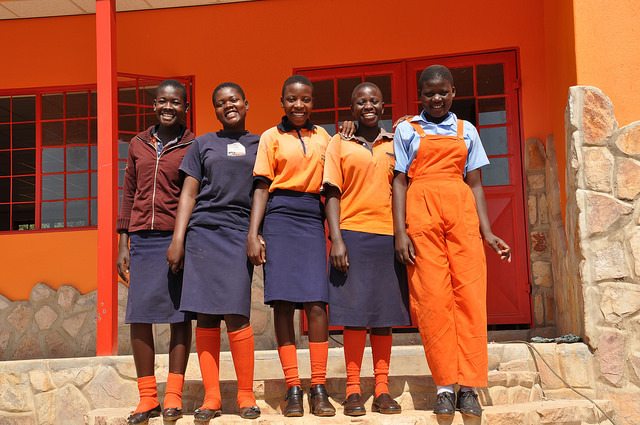 Their support enabled us to cover all school costs, leading us to a debt-free year. o-date we are covering 25 villages in rural Tororo and Buteleja Districts. PCE Foundation is currently one of the best accredited organizations amidst the local and international NGOs identified in the community for tangible support to the grassroots people. I was listed among the UNFPA Women Achievers of 2014, recognized for my efforts to prevent teenage pregnancy. 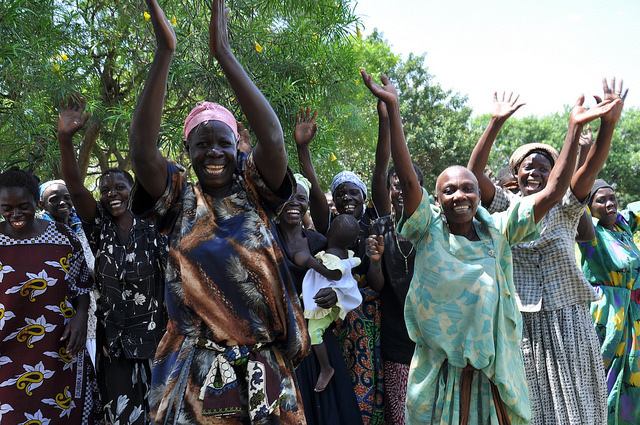 UNFPA and the New Vision Publications in April 2014 recognized individuals, particularly women who have made remarkable social, cultural or economic contribution in their communities. We added 42 new mentees in 2014, in addition to the 71 mentees carried over from 2013. We received over 1000 applications from girls looking for sponsorship and mentorship opportunities last year, and the selection process was extremely difficult. The 42 chosen had exceptional academic records and were faced with extreme vulnerability. Three of them were among the top 5 highest scoring students this year. This brought us to a total of 108 mentees for 2014; 103 girls and 5 boys. Accepting these many unsponsored girls into the program caused some major financial challenges this year, but thanks to the support received from the above mentioned individuals from around the globe, we were able to cover all costs. Nonetheless, additional mentors are badly needed for the upcoming year so that these girls’ continued education is ensured. 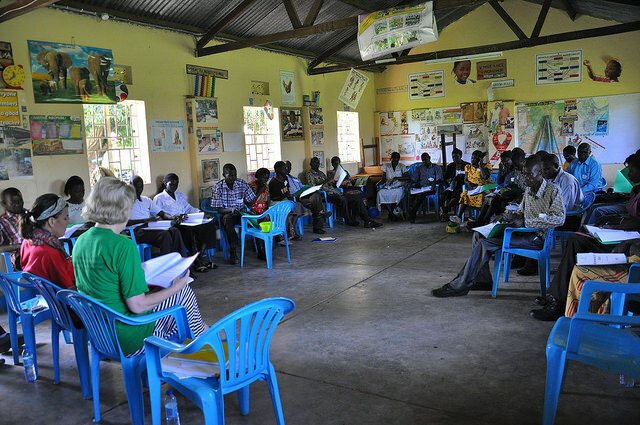 A large part of the success in this area in 2014 is due to the community support team (chairperson parents’ committee, community coordinator, community mobilizer, and the cultural integration officer) who are dedicated to working on solutions for the development of their communities and villages. Flavia Agtha Ikwapi and John Chris Owuya are no longer part of our volunteer team, although we thank them for their past service. Our team now consists of Francis Owere, who began working with us in January 2015 as a grant writer and Projects Development Manager; Connie Abiyo, a Social Worker (counselor); Josephine Apio, working in Finance and Administration; and myself coordinating the various projects. Our International Advisory Board, consisting of Amy Edwards, Jim Howard, Julie Collura, Julie K Thompson, Lorraine Salmon, Rebecca Howard, Rita Reutner and Shelby Young, provided strategic direction and opportunities for growth and development. We currently have one Ugandan Board member, Beatrice Karonga, and are working to identify additional local individuals who may be good potential members. The year 2014 has been a very successful year in terms of providing donors with the ability to receive tax-exempt status for their financial donations. Some in the United States and Australia utilized the new on-line donation capability (http://pce-foundation.org/donate). Rita Reutner (one of our mentors and a member of the International Advisory Board of Directors) and her husband received donations from our mentors and supporters from across the EU through their charity that supports education and hospice in Germany. They did not charge us for receiving these funds, and will provide tax refund receipts on our behalf. Our on-line donations from the United States and Australia go through the Global Development Group (GDG). We would like to offer our thanks to Nigel and Rebecca Koolik, two of our mentors in Australia, who have been very helpful in proposal writing and documentation. As a result of having served on different projects in Africa and other developing countries for 7 years, this couple has a great deal of valuable experience in this area. We are also grateful to Shelby Young and Sumru Erkut for their dedicated support in grant writing. We would also like to thank Lorraine Salmon for helping with wiring funds from the U.S this year. 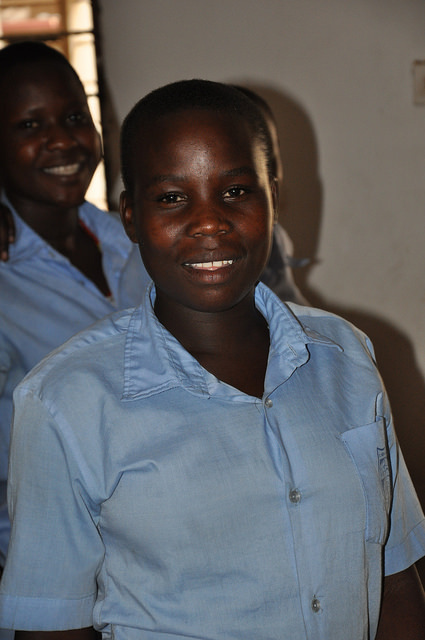 Although they haven’t been tax-exempt, she was able to wire funds from several mentors to our Ugandan bank account. Visiting mentors and volunteers have generously donated farming supplies and equipment. Visitors brought with them items such as mango tree seedlings, passion fruit seedlings, papaya, beans, sesame, green vegetable seeds, spray pumps, and more. 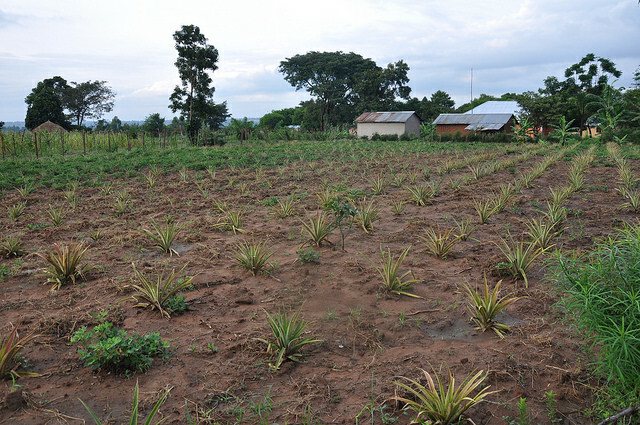 In 2014, donors provided 40kg of beans and sesame, 50kg of beans, 100kg of maize/beans, 2kg of watermelon, 100 passion fruit seedlings, and 460 pineapple seedlings. These have all been planted, the flowering/seeding is expected in the next 3-4 months. These donations have been a tremendous asset to our gardening project. The harvest and income being realized is huge, comparable with funded projects. The seeds and seedlings are being shared after group harvest, and this is helping to reduce food insecurity in the supported households. Thank you so much for these donations. We hope you will continue to support this project. If you have any funding leads, please forward them to us. The farmers still have problems in areas such as sustainable agro-land use, soil conservation, crop adaptability, seeds selection, seasonal variation, commercial farming, and food security. Resolving these issues will enhance sustainable agriculture. The weather is still a big challenge due to its unpredictability. Parents still plant some crops in off planting periods and this is affecting yields. Vegetables especially were greatly affected by weather fluctuations during the past two seasons, some seeds did not germinate as a result. Participation on the part of some parents is poor. The parents of students new to the program (some members of 2013 and 2014) often miss meetings, and don’t always assist in the garden or help with brick making. This is due to the distance from their respective homes and villages to the Amor village where most of the project activities take place. The active parents themselves have suggested those individuals be fined every time they fail to turn up for any project activity without prior notice. 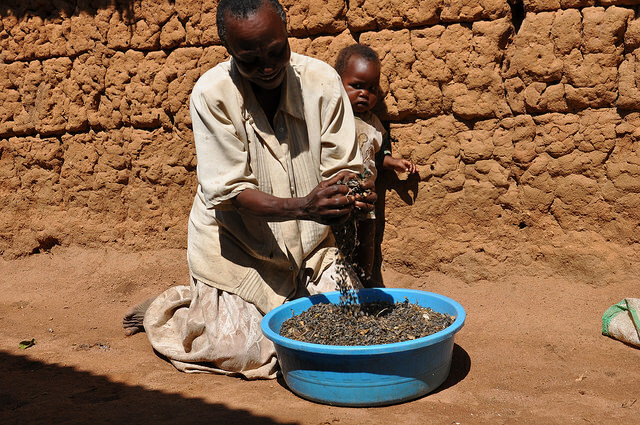 The parents also face a challenge on post-harvest handling skills, such as drying, storage, packaging, and preservation. They ask for assistance in this area. There are a limited number of hand hoes for the participating farmer groups. The number of farmers is growing, but no effort has been directed towards procuring hand hoes to cover all participants. This is needed especially during planting and weeding of crops. As a result many come but don’t participate in the digging due to a lack of hoes. Small and inadequate farmland is yet another challenge to the farmer groups. PCE Foundation depends on the families of mentees for the land required for the garden project. However, the family also needs the space for domestic food production. There is a shortage of water for use in drip irrigation, which is an essential factor for agriculture to thrive. 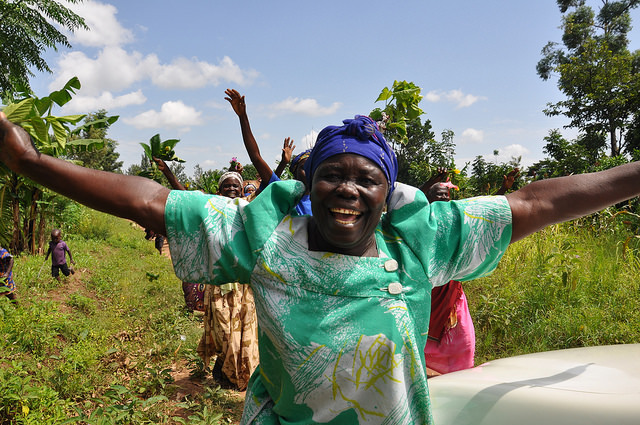 The parents/guardians of the girls participating in the RGCM – Uganda program have formed a savings and loan program among themselves – the Rural Peer Savings and Loan Association. They begin in January each year and share out in December. In 2014, they created three groups, each group composed of 32 members, 88% of the members were women. They saved a minimum of 1000 UGX ($0.4) and a maximum of 5000 UGX ($2) per week. The sums saved and borrowed are not large, but they make enough of a difference to the income of the group members that they are able to contribute to the needs of their children in school. By December 2014, Group I shared out $398.20, Group II shared out $254.80 and Group III shared out $169.80 leading to a total of $822.80 funds shared out. Individual members are looking at investing their funds in small businesses, agriculture, and supporting the education of their children. This project includes mentor/volunteer visits and the Pen Pal/Letter exchange initiatives. 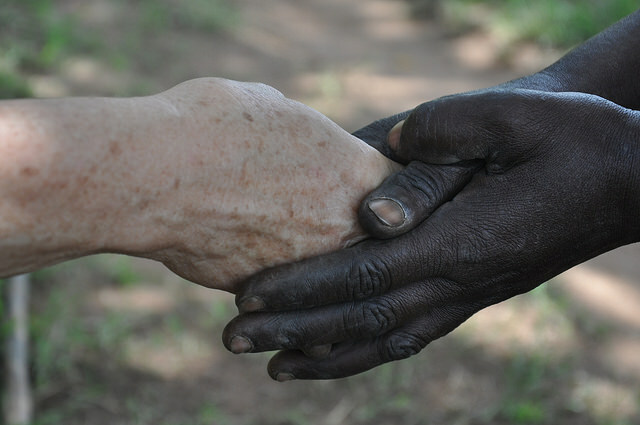 The rich cultural exchange is transforming our cultures and beliefs and empowering the community, including drawing men into supporting their families and supporting community development while helping the community understand the benefit of education. Domestic violence used to be a big issue in this community before our intervention; today most of our beneficiary families are totally violence free. This year alone, fifteen mentors and volunteers visited with us from January to October. Each of these visitors impacted and empowered our community in unique ways; they also gained rich cultural experiences. Some of them are returning this year! We welcome volunteers (including non-mentors) who would like to do short term projects with us. 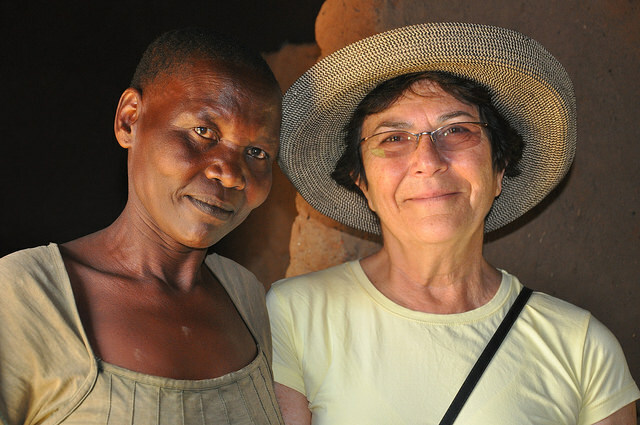 We understand that financial constraints may limit your travel, but invite everyone to visit with us and see for yourselves the sort of community and people you are supporting. There are various community development initiatives underway in addition to the mentorship and farming projects. We are building a Community Library and Information Centre which will be a combination of a library and a meeting hall to benefit over 48 rural schools – at least 5000 students and 4000 parents/elders in a year. This will be a place to learn, share information, and serve as a hub for entrepreneurial trainings as well as an advocacy center. The construction is already started, currently at the slab level. Unfortunately, due to limited resources (lack of cement, sand, concrete stones, iron bars and labor), the construction has been at a stand still for the last 6 months. We would like to thank the many individuals and organizations who have generously supported this project. 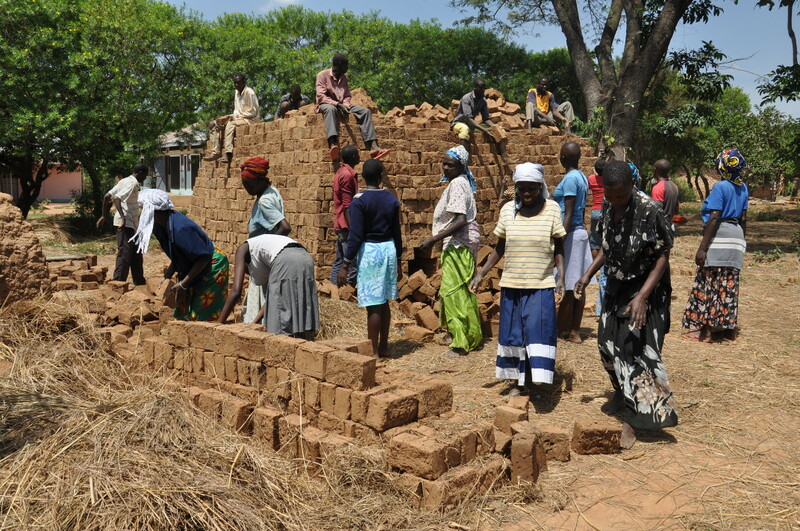 We also thank the parents for performing the hard work of making bricks and applaud their dedication in making all the required bricks for the construction. We currently have 20,000 bricks for the next phase. We need USD 40,100 to completely finish this construction project. Thus far, we have raised a total of USD 7423. In January 2014, each of our girl mentees educated 20 girls from their own villages about the dangers of early marriage and early pregnancy, as well as sexual abuse. During this exercise, 812 girls were reached. The boys, with the help of the Community Coordinators, conducted an HIV awareness program and distributed free condoms. We target the festive season because it’s when a lot of sexual practice rapidly increases. A total of 3019 condoms were distributed to males ages 18 – 48, thus over 2000 men were protected against STD and pregnancy risks. Wellesley Centers for Women donated six thousand (6000) condoms to PCE Foundation in December 2013. Please consider donating or supporting the library, health or community initiatives in any way you can. Your donation/support will make a huge difference. In May 2014, we hosted a team of two Americans – Sallie Dunning and Jennifer Dirga who conducted a two weeks Life Skills training of the Open Circle Program of the Wellesley Centers for Women. They trained 106 people (students, parents and teachers) from 9 villages and 6 primary schools. This was a Partnering for Stronger Communities project funded by the Community Solutions Program of the International Research & Exchanges Board (IREX), through the Wellesley Centers for Women, one of the largest gender-focused research-and-action organizations in the world. The 106 individuals (Students, Parents and Teachers) trained during this two week period have the potential to impact more than 20,000 others in their villages and communities including the partner schools, families and siblings of the beneficiaries, and those supported through the health initiatives. We received a total of USD $59,930.45 in financial aid from all our supporters, with the RGCM project standing as our best funded project. Individual mentors provided financial support for the 103 girls and 5 boys in different secondary schools, colleges and university. Several of our mentors gave extra funds to cover the school expenses of the girls without mentors and sponsors. We expended $59,901.03. An independent audit firm will be working on an audit report towards the end of this month (A complete Annual report – with pictures and Audit report will be uploaded on our website). This is a great achievement and we deeply appreciate all our supporters! This has continued to negatively affect the operation of activities across the board. Setting up an office, paying for staff, and implementing activities all depend on the availability of funds. We have acquired office space both in Tororo and Kampala; however, we are still financially held because we cannot hire staff. All our staff work on a voluntary basis. Despite the lack of salaries for our staff, we have achieved much with meager resources. This is still a big challenge since all the current volunteers are also very busy in their regular places of work. As mentioned above, funds to facilitate a permanent staff are not yet available. Therefore our staff must remain in their current jobs in order to support themselves and their families. Transportation remains a challenge due to the high cost of transporting the girls to and from schools for holidays, as well as travel expenses for the staff. Overall, the mentees did not suffer from many serious health concerns this year. However, several girls did suffer from malaria. The most complex health issue was heart failure that led to the death of one of our mentees – Nyadoi Anna Rose. We have asked the parents and guardians of the mentees and the mentees themselves to declare to us their health status so that we can intervene as early as possible if health complications arise. On a positive note, there were no pregnancies among the mentees in 2014. This was a big achievement, a sign that all the girls and their families are embracing education more than ever. Many of our mentors and supporters were aware of this project. We were one of the 5 projects selected globally by Amplify (Ideo.org) for funding in 2014. We however stepped down due to the terms and conditions of the funding. The focus area was the slum community, which could not be combined with our target group – the rural girls/rural community. We anticipated several challenges including the gap it would create if we had to invest a greater percentage of our time in the city suburbs, the difficulty in phasing out our efforts after the 18 months of the project execution, extra financial challenges in coordinating the two communities (urban and rural) as well as balancing all the projects using the minimal resources available. We therefore elected to step down. We are deeply saddened to share the loss of one of our mentees, Nyadoi Anna Rose, on December 27, 2014. Anna Rose died of heart failure at the age of 19. She left behind a 6 year old son. Her family tells us she died peacefully. For those who are not familiar with her story, Anna Rose was discharged from the hospital on November 22, after spending 6 days in the hospital suffering from congestive heart failure. Despite her weakness, she refused to go back home from the hospital, but instead returned to school and took her school examinations. Anna Rose died a hero. She was a very hard working student and her parents (who are both HIV positive) were very active members of the organization. We send special thanks to Helen and Mark Sean Sinclair, Anna Rose’s mentor family, who brought hope and peace to her life during her last few years on earth, and who sent financial support to help her family with funeral costs. May God rest her soul in eternal peace. “I did not know I am a very smart young woman until I joined the RGCM project of the PCE Foundation. Before then, I used to walk very long distances to school, many times I was chased out of school because of lack of school fees. I would miss school many times to the point that I felt I needed to just forget about education, after all I was going through. Many times I was among the worst performers in class. My family thought I was just a stupid girl, which I almost believed also. When I was selected by the RGCM project of the PCE Foundation, I was very happy. I knew my education would be achieved and my dream of becoming an engineer would come true. I was taken to one of the best performing schools in Kampala – St.Noa Girls’ School. I was in a boarding school there, life was so good, we had meals in time, water and electricity, no walking long distances or starving anymore. During the class tests and examinations, I have always been number one or number two in my class. “I received 3 cups of sunflower seeds in February 2014 from the chairperson and the agriculture coordinator. I planted these seeds alongside the maize. During harvest I got two full sacks of seeds which was 72kg. I told my wife that we should try making a stew out of the sunflower dried seeds. She did not think it was possible but for me I thought it was something worth trying because the seeds are edible anyway. If you have not yet subscribed to our Facebook group or pages, we encourage you to do so for frequent updates. We will continue posting exciting news about our ongoing projects and activities. We encourage you to share our updates with your families and friends. Ted and Lindsey Copeland have done tremendous work on the website, thanks to them! The website has the latest updates on our activities, and you can now donate online to support our work. We are grateful to everyone who has participated in our surveys and given us constructive feedback. PCE Foundation and RGCM project began as an expression of my dream, but YOU have made these projects a success through your support! We value your involvement and feedback and we encourage you to continue evaluating and supporting our work.